A view of the sky at Gruinart in mid October 2013. At times it was full with Barnacle Geese in flight, spooked by something (possibly an Eagle which was seen in the area many times) they all set off. An amazing sight and sound. 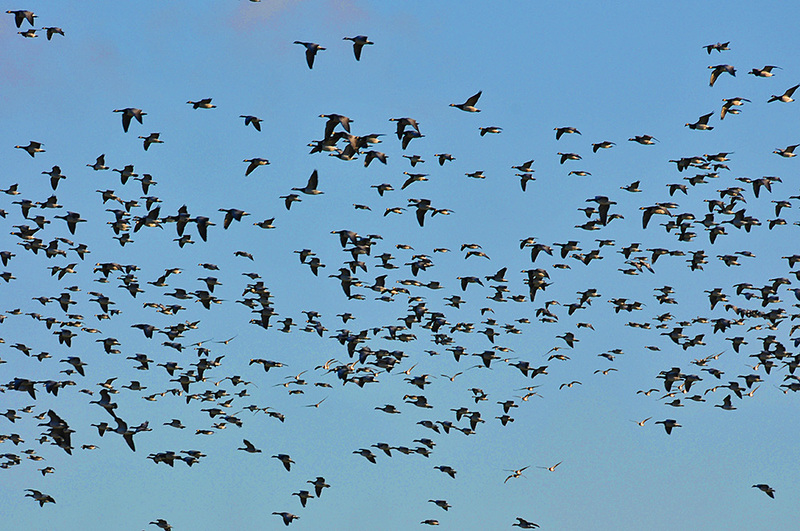 This entry was posted in New Post, Sunny Weather, Wildlife and tagged Barnacle Geese, Gruinart, Islay by Armin Grewe. Bookmark the permalink.